Craftsmanship is key. We take pride in our craft, in the detail work that you’ll never see, but which will ensure your roof performs well throughout its expected lifespan, and perhaps beyond. Our rough framing work is top-notch. It is your roof’s most critical structural component and we treat it that way. Our finish work is flawless down to the last detail. The way your roof looks requires your roofer to pay close attention to detailed finish work. They must have the fine carpentry skills necessary to make sure your roof keeps looking its best. We have those skills. We go above and beyond for every customer. It doesn’t matter what the size of the job is. Whether you are spending $1,000 or $100,000, you get our best. Why? Because that’s how we would want to be treated. Being skilled at our craft is only part of what sets us apart. We pride ourselves on providing outstanding customer service 100 percent of the time. Our work is very good. But no one is perfect. So if there is ever a problem after we’ve installed a roof, we’re out there fixing it right away. It is tough to know exactly what you need. A new roof? A roof repair? More than that? That’s why we provide a thorough inspection, review every recommendation with you, and explain in easy-to-understand terms why our recommendation is sound. We hate waiting, especially when we were told we wouldn’t have to. When we commit to starting a job, we’re there that day. We finish on time and work hard to leave your yard in the shape we found it in—sometimes even a little better. We don’t do all the good work for the praise. We do it because it’s the right thing to do. We sure love to hear it though! 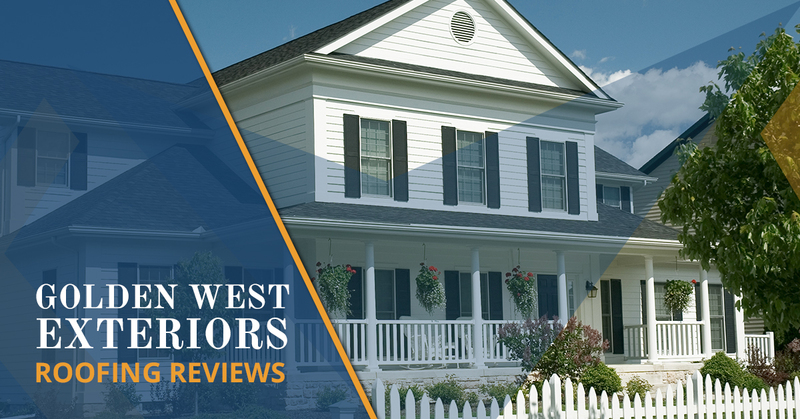 We want to say a big thank you to all of our customers who have taken the time to share their experiences with Golden West Exteriors. If you are in Edmonton or nearby, give us a call. We’d love to hear from you.